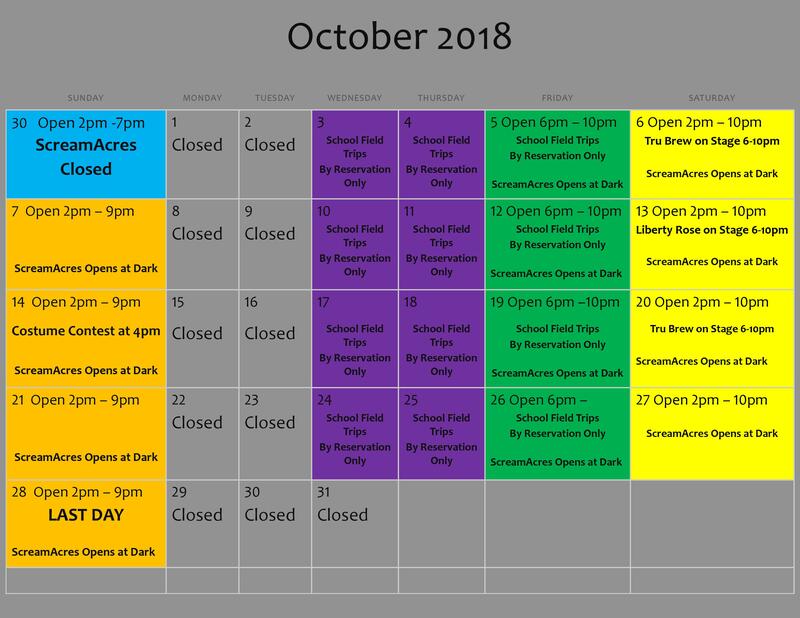 Every year, ScreamAcres dedicates the Fall to bringing you the best scary entertainment in Northwestern Ohio. Our attractions grow a little more every year, so no visit will ever be quite the same as a previous one. 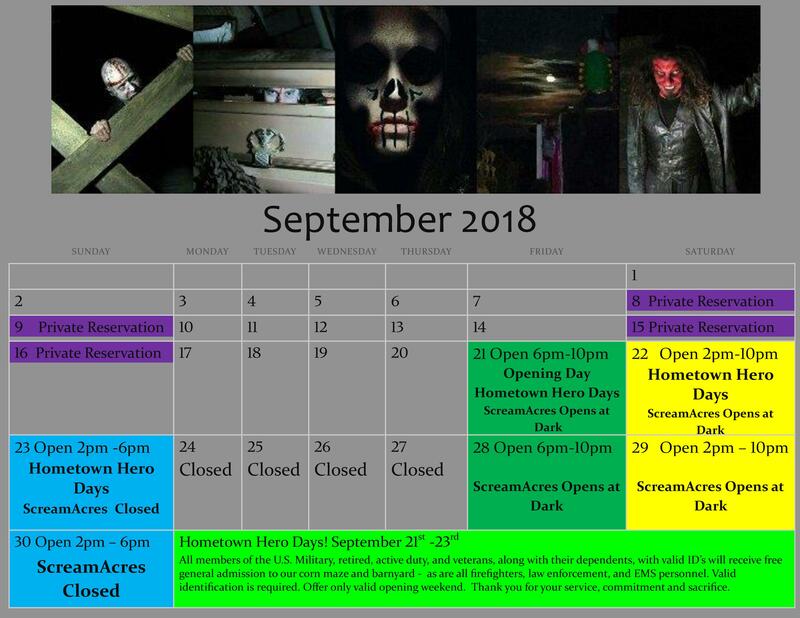 Come on out for the full experience of night terror as you make your way through haunted cornfields, monster-infested laboratories, wild warzones, and so much more. Watch our site as the year passes for updated information. Special online deals and even contests with great prizes will appear frequently on our Facebook page as the season approaches. Our haunted attractions are not recommended for children! However, there are many other family-oriented things to do on our farm, as well as concessions and play areas. Caution is recommended for those with health conditions affected by intense strobe lights or use of fog machines. x. Alcohol is NOT permitted on the property. x. Please leave your cellphones and all metal objects in your vehicle. x. Proper shoes are necessary; flip-flops, sandals, or high heels are not a good idea. x. Please wear appropriate clothing. You will be on a working farm, so expect a little dirt. x. Do not touch the actors.